We are pleased to inform you that this year FENDI participated at the ISPO Fair, Munich, from February 5th to 8th – the leading international trade fair for the sportswear and leisurewear. 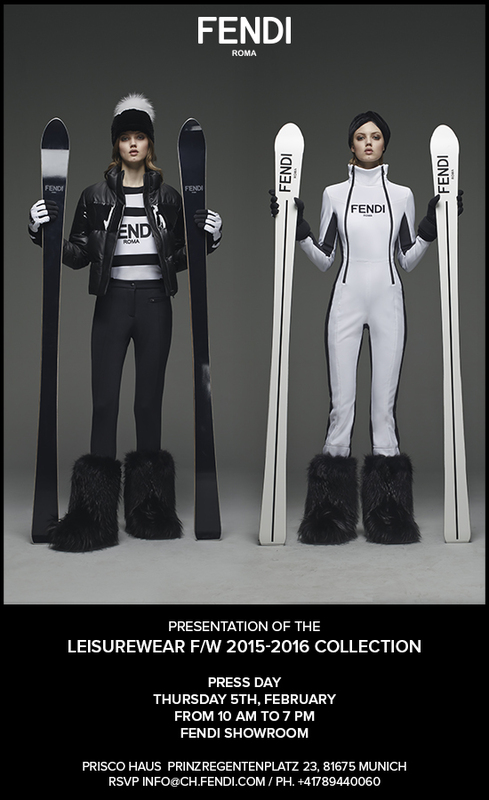 FENDI set up a showroom at the Prisco Haus, a Munich historical building, to show the new Leisurewear F/W 2015-2016 Collection. In this occasion FENDI also presented the first Man Capsule Leisurewear Collection. 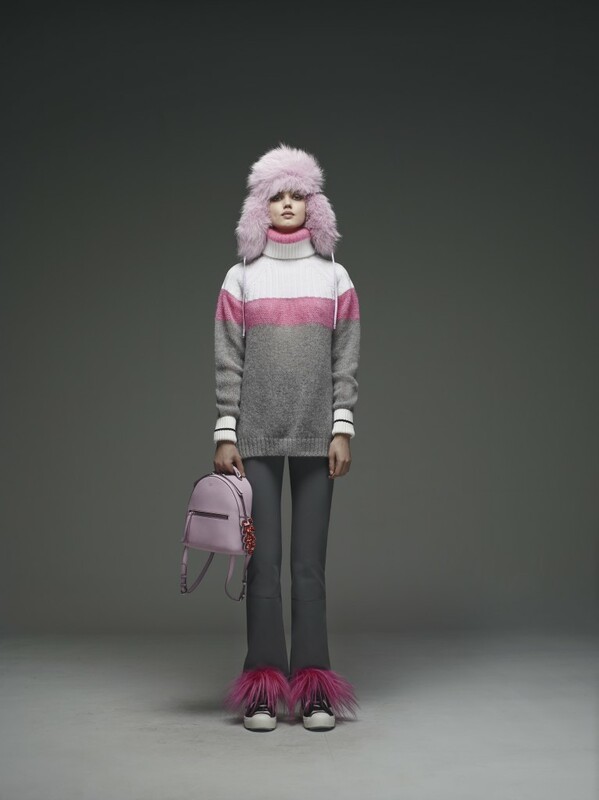 The FENDI Leisurewear FW 2015-16 is a very rich and innovative collection that perfectly embodies the FENDI signatures of dualism, irony, femininity and master of materials. Thought for a 360° experience in the mountains, from the white slopes to chilling in the after ski…for a sporty woman who doesn’t give up on aesthetics while skiing and in her free time while with friends. The collection is expressed though five major worlds that are Fendi Roma, Orchid and Half&Half, Bag Bugs, Fendi Roma Graffiti, Pequin and Stripes. From sophistication, to fashion, irony and elegance.